This morning we had an interesting and engaging networking meeting at the Slough Aspire sponsored by The Club at Mapledurham (www.theclubatmapledurham.com) where we had a chance to see how a golf day could be brought to any business as a social event, because as I found out today, you don’t have to be a golfer to enjoy a bit of fun indoors based around golf. The PGA Professional Andrew Wild was on hand to give us all a bit of light hearted guidance on the finer points of the game, but in no way was this exclusive to anyone actually interested in golf – more just fun! I’ve “played” golf once about 30 years ago, been injured in other sports and so thought golf was not something I could do…..today I have learnt different. It was fun. It can be very technical and its not the sort of game you can just rock up and be good at, but it is clear to me that it is something that could be really good fun and a challenge. 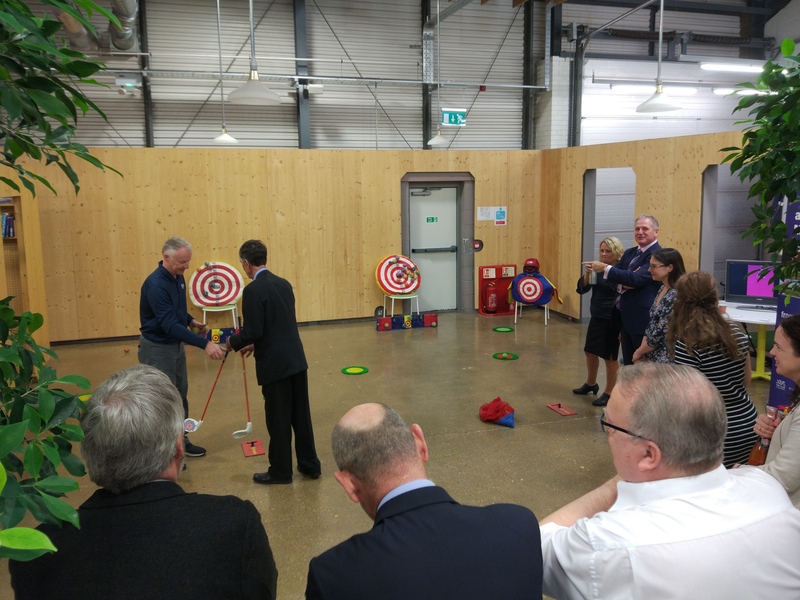 There was also a golf simulation where you can use real golf equipment and it projects your shot to show what you would have achieved out on the course. You can also be videoed so that your technique can be appraised. It can be a cross over from golf to a video game! Great fun and when I watched someone who can actually play I realised I have a lot to learn! But as usual the Aspire put on a good event for networking and I walked out with a few new contacts and hopefully I’ve been able to help a fairly new business with some free hints and tips on their website so that it works better for their business – it is after all what networking is all about – helping others first and forging ongoing business relationships.